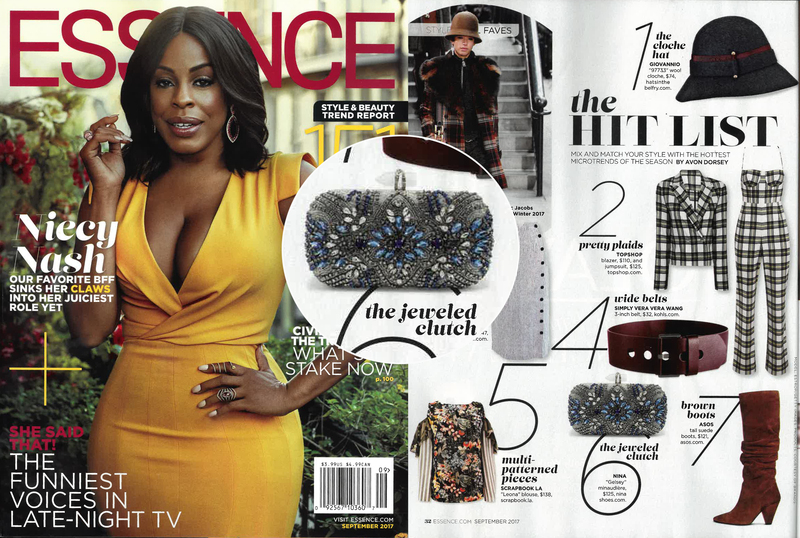 Picking up on the latest style trends, Essence Magazine featured the “Gelsey” minaudiere clutch by client Nina Shoes in the September 2017 issue. The style is part of Nina Shoes Holiday 2017 collection of special occasion handbags. 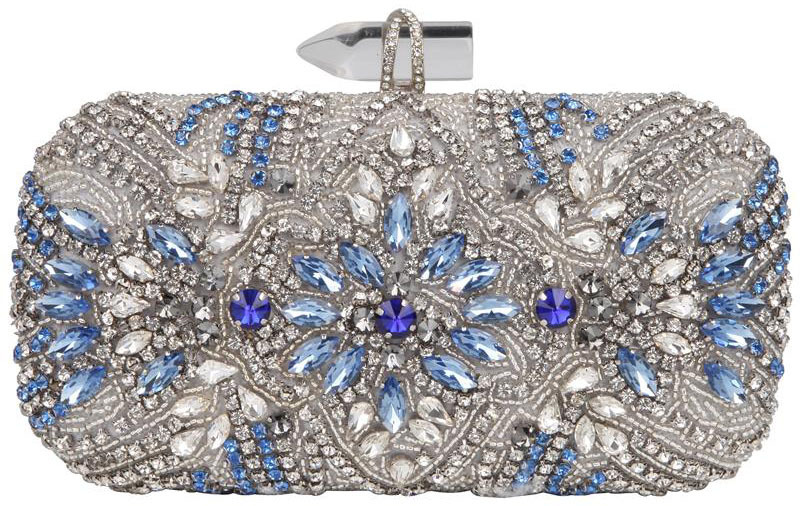 “The Hit List” also highlights styles by Marc Jacobs, Topshop, & Simply Vera Vera Wang.